As a multi-disciplinary and integrated real estate branding and communications service provider, we specialize in providing value innovation across various customer touch points. Collaborating with a team of professionals well-entrenched in the real estate marketing and communications industry, we take pride in our understanding of the real estate marketing space from a wide angle perspective – buyers, media, real estate players and the industry as a whole. Suraj Estate Developers entrusted Co.Lab to create the core positioning and the brand identity for The Palette, a 35 storey residential high rise built by world renowned architect, Ar. Sanjay Puri. The project involved arriving a clearly defined positioning encapsulated in 3 words "Spacious. Scenic. Social". The branding for The Palette was a 2 month collaboration between the developer, the design team and the architect to arrive at a distinct identity that was very unreal estate like and lent itself an air of casual sophistication. A discreet, well-heeled catalogue targeting investors and HNIs was established for the project to elevate its profile and differentiate it from the multiple other projects in the vicinity. Also on the anvil is the project website, the walkthrough, big brochure and the print and outdoor designs. To convey a deeper story about the unique experience of living the farm life with all the luxury amenities in a countryside atmosphere, we developed an interactive website with visually impactful imagery involving extensive use of video and photography. The result? 40 plots sold right in the first phase of the project without a single rupee spent on print or outdoor advertising. The farm life at Serrano Farms is best experienced than seen in a video - unless, of course, it is a beautiful story narrated by renowned Master Planner, Ar. Ravi Kadam. A CG animation based sales presentation video demonstrating the features, amenities and different plot types to promote Serrano Farms among clientele outside Pune. Our year long engagement with Synergy Properties involves repositioning, rebranding and creating complete communication support material besides Social media deliverables to market their unique concept of Holiday Village Homes across Maharashtra. Shown here are some initial pieces of work and there's more to come. Branding befitting residences that are awesome. 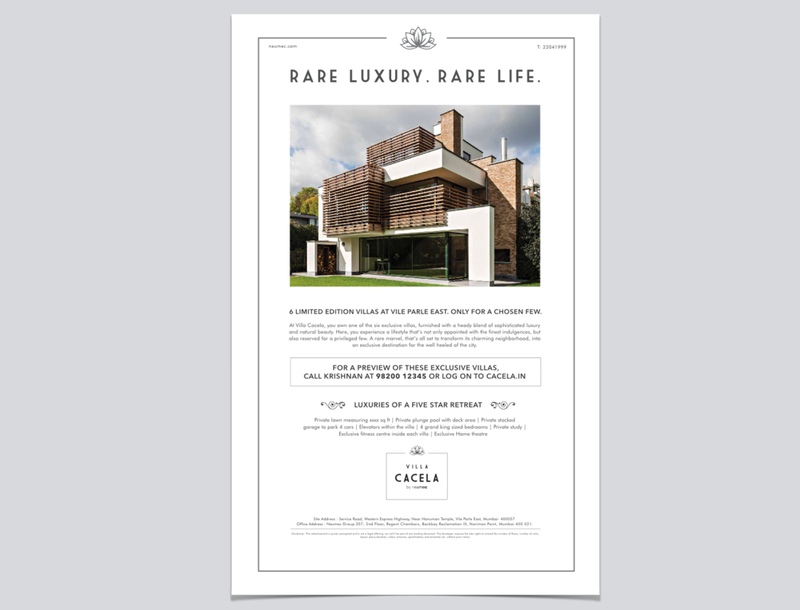 A branding program involving the project identity system and a coffee table book to reflect the confluence of European aristocracy and royalty targeting high net-worth investors. Wired homes meets luxury homes at Woods Platina. For a residential development in the buzzing new neighbourhood of New JVLR Extension Road, fusing the best of smart home features and luxurious amenities in the midstof open green spaces, the mandate was to develop a responsive website design, site sale experience design with collaterals and focused print advertising to drive inquiries and sales. Crafting the brand positioning theme of 'LIVING THE VACATION LIFE EVERYDAY' for a luxury residential high rise based out of Malad. Scope of work involved creating the brand identity, brochure, site panel branding, website and other collaterals. Inspiring a whole new way of life. Corporate branding program for a new real estate developer with a slew of projects in landmark locations within Mumbai. Assignment involved designing the new logo identity, the office environment graphics, stationaries besides the new corporate website. 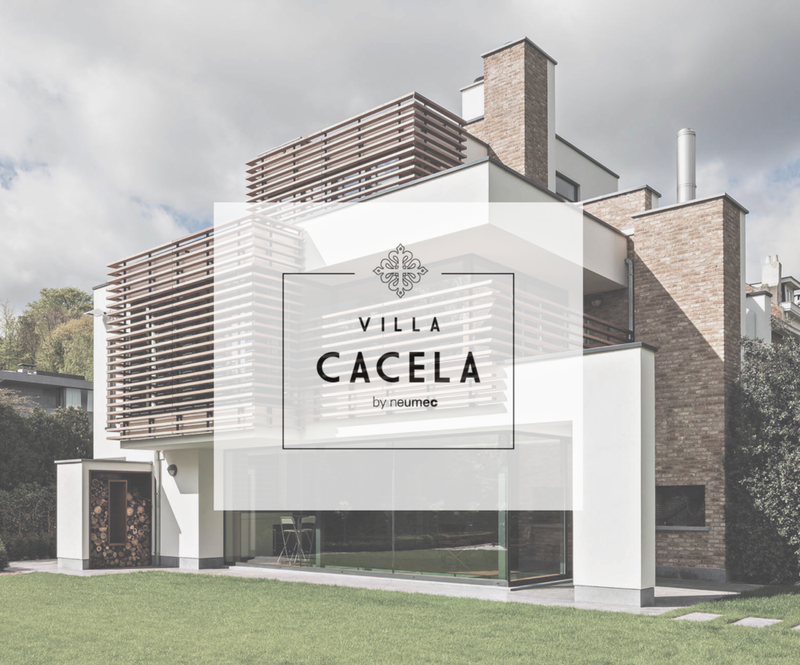 Villa Cacela, is a rare marvel, that’s all set to transform the charming neighborhood of VileParle East into an exclusive destination for the well heeled of the city. This limited edition 3 storey villas ( only 6 of them) will be pitched only to the HNIs and top brokers of this city. The scope of work involved creating the overall project identity besides a high end brochure and magazine ads for release in international business publications. 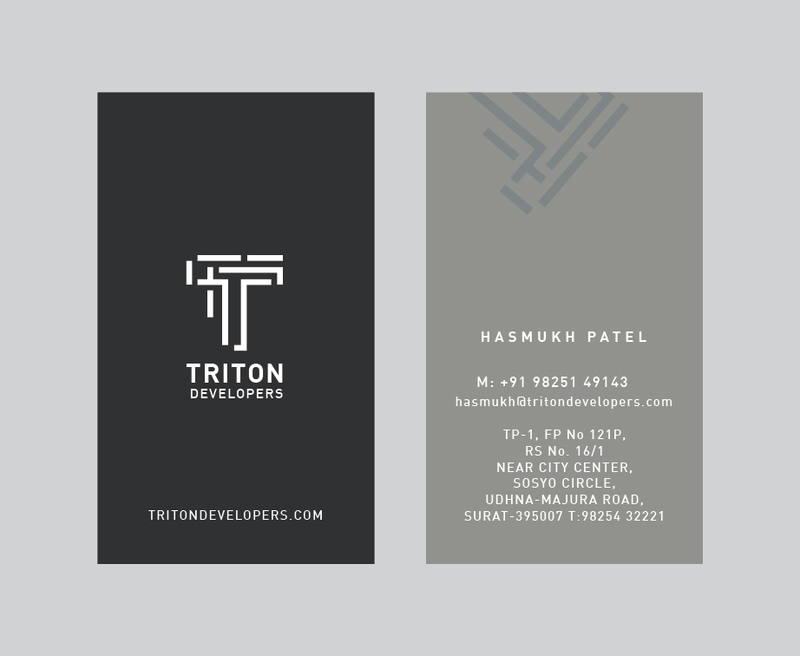 Corporate Branding Identity and Stationaries for an upcoming real estate developer based out of Surat.